I just wanted to say THANK YOU to Drew, Andy, Tom & the rest of the gang at the Medina Century Cycles. It took me a while, but I finally got my Raleigh Mojave 8.0 and took it for a ride last night and was very happy to be riding again and from previously owning a Raleigh M-80, I am very impressed with the new technology of this bike. 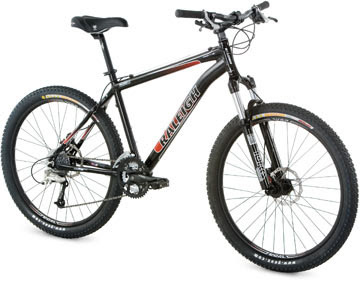 Being only 5’2” and female, but also an enthusiast, I spent over a month looking for a bike I would love. I stopped at your shop first and spent some time with Drew who was more than willing to help and answer any questions I had. And when we didn’t know the answer, what was great is he did his best to figure it out and was honest with me. We looked at the Raleigh 5.0, tried a couple of Giants and after all that, I was honest with him and said that I had a few other bikes I wanted to test out 1st before I would commit to the Raleigh.